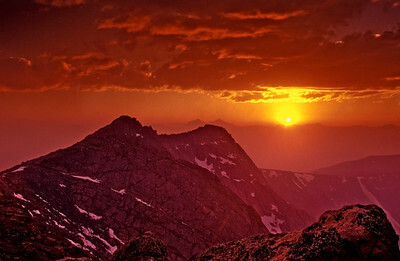 Sunset from summit of Mount Evans two days after start of Hayman fire near Denver, Colorado in June 2002. 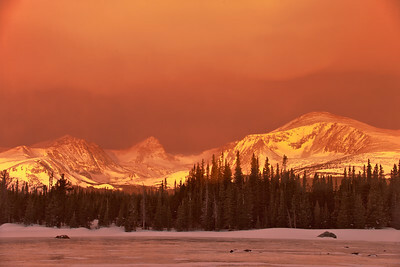 Brief lull in a snow squall at Red Rocks Lake near the Indian Peaks Wilderness Area west of Boulder, Colorado. 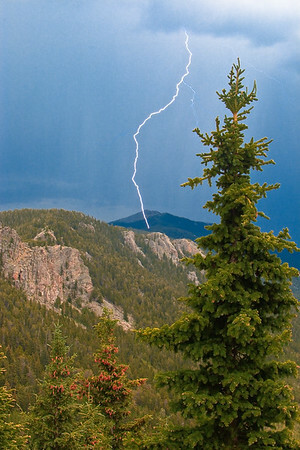 Lightning on Squaw Pass near Mount Evans. 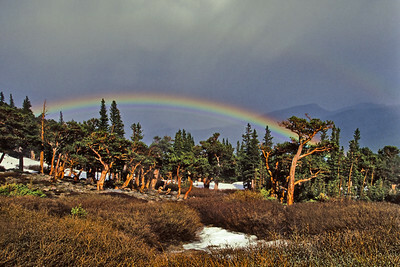 Early spring showers produce a vivid rainbow above the ancient Bristle Cone Pine forest on Mount Evans, near Idaho Springs, Colorado. 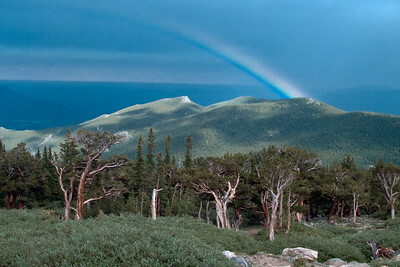 Rainbow at Bristlecone Pine area on Mount Evans near Denver. The best opportunities for photos often happen at what photographers refer to as 'the edge'. 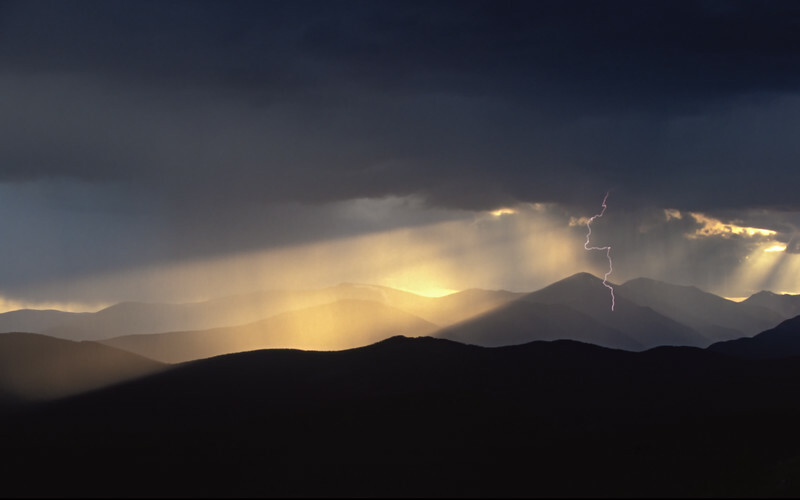 The edge can manifest in different ways; sometimes it's the time between seasons, the time between day and night, or the time when weather or light changes. 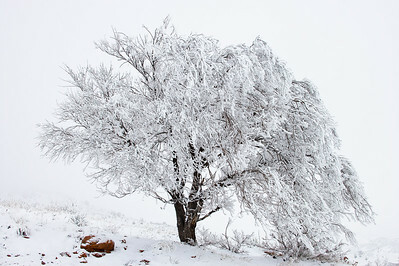 In outdoor photography, it's sometimes difficult to tell when 'it's over'. 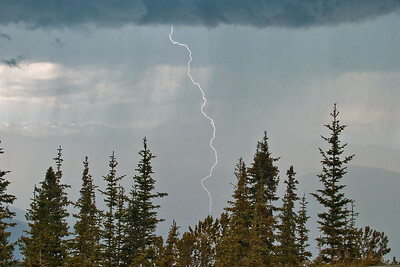 After spending the afternoon photographing lightning near Mount Evans , I was about to pack up when I noticed that a storm cell had once again became active. 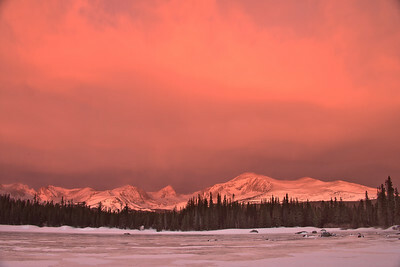 I quickly turned my camera on this scene and was rewarded with this image just as the sun was setting.